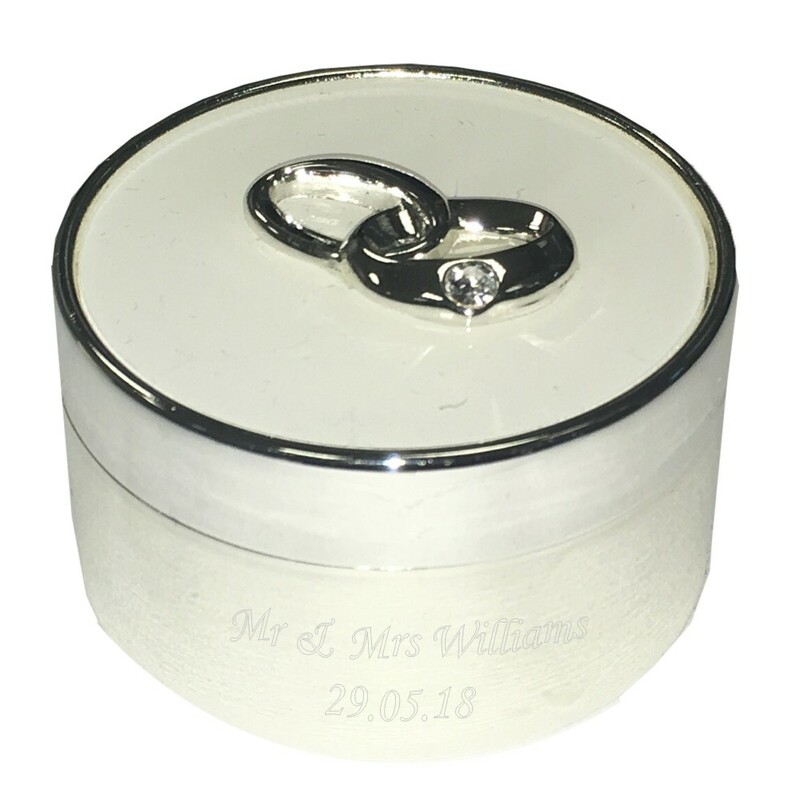 A beautiful engraved silver plated round ring box. 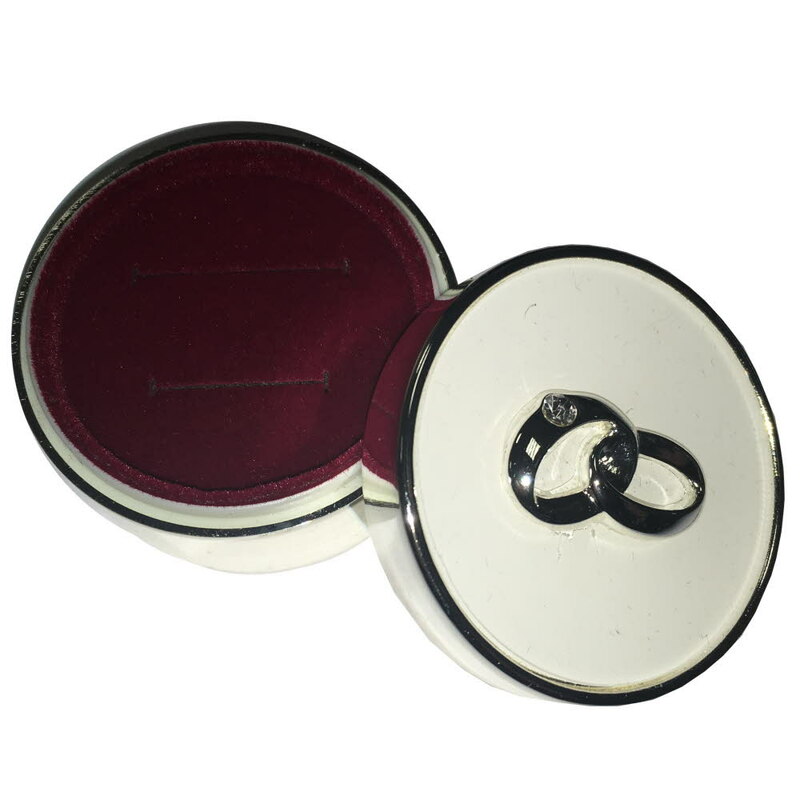 This amazing ring box has a white infilled lid with silver entwined rings, a diamante on one ring, it has a red velvet lining with two ring holders and measures 50 x 50 x 30mm. It comes in a gift box. Your engraving will be done on the front bottom half of the trinket box.